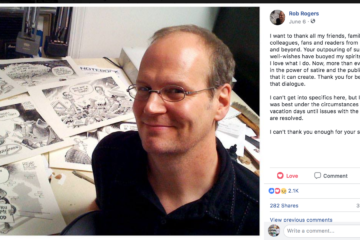 This afternoon, award-winning political cartoonist Rob Rogers stunned his many fans in Pittsburgh and beyond by tweeting that he has been fired by the Pittsburgh Post-Gazette after 25 years. 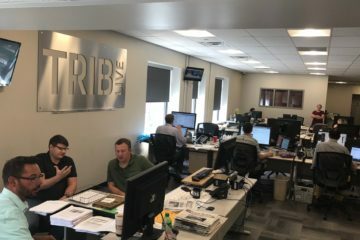 “I’m literally trying not to throw up,” the Post-Gazette’s Tony Norman tweeted in response. As we’ve reported in recent days, Rogers’ political cartoons which so many readers look for each day had been missing recently from the Post-Gazette’s pages. The resulting uproar over the editorial decision to suppress his cartoons has been drawing responses from across the nation, including a tweet from Barbra Streisand and a strong rebuke from the Association of American Editorial Cartoonists. 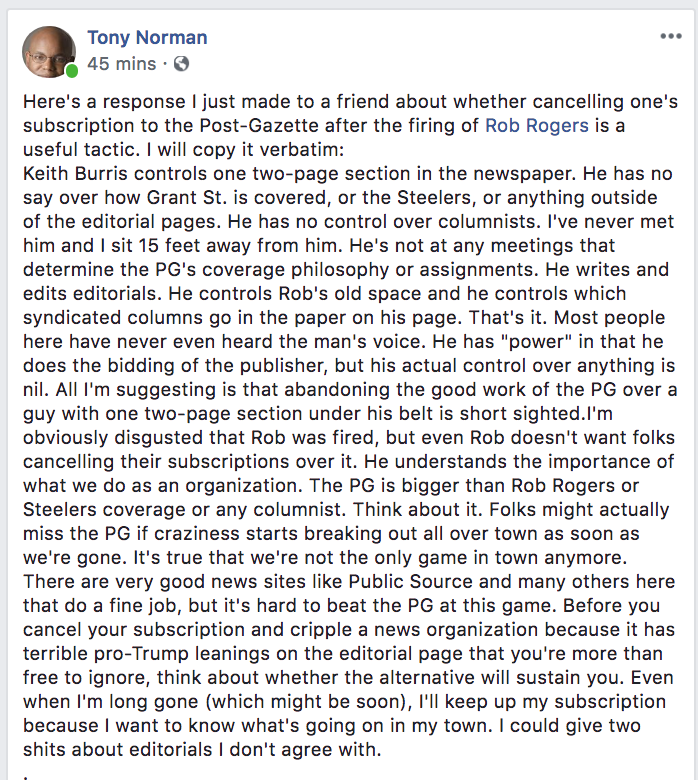 As news was spreading about Rogers’ firing, it was announced this evening that Rogers will appear at the free First Amendment conference scheduled for next week in Pittsburgh which has been organized as a forum for discussing and protecting “the bedrock of AmerAmerica’s rights of freedom of speech and freedom of the press. 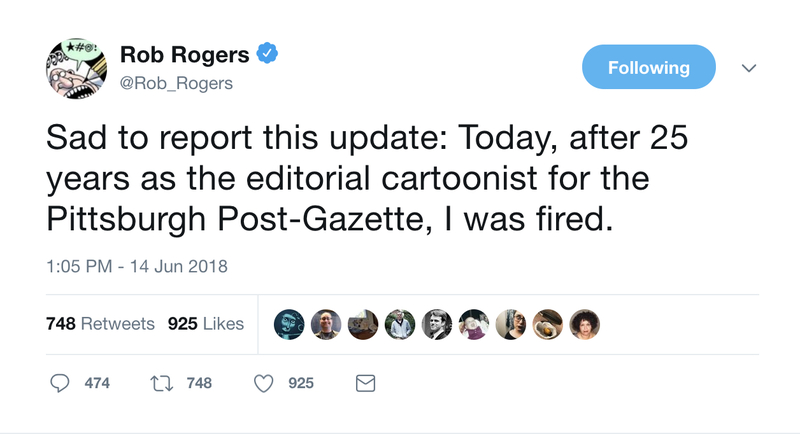 “During his 34 years as a political cartoonist in Pittsburgh — including a career at the Post-Gazette spanning four supervising editors — Rogers had two to three cartoons a year, on average, killed by his editors,” reported the Washington Post. 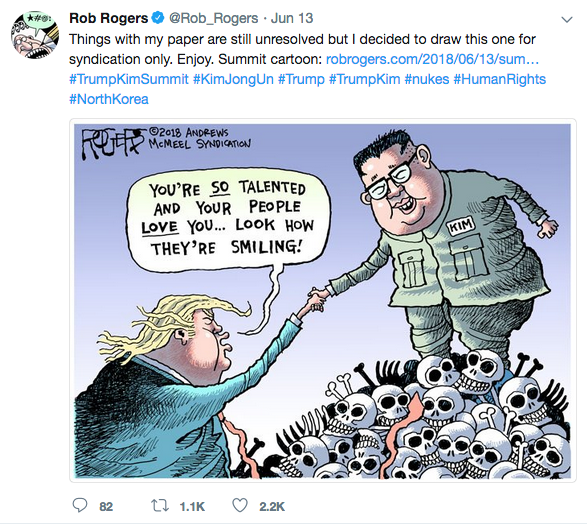 “The move today by the leadership of the Pittsburgh Post-Gazette to fire Rob Rogers after he drew a series of cartoons critical of President Trump is disappointing and sends the wrong message about press freedoms in a time when they are under siege.